Double board certified Atlanta plastic surgeon Dr. Mark Deutsch recently attended the annual Atlanta Breast Surgery Symposium, an event that garners over 500 medical professionals from across the globe. It is widely regarded as a leading surgical gathering conferring the most current innovations in cosmetic and reconstructive surgery. Plastic surgeons at the event had a unique and invaluable opportunity to converse and collaborate with one another regarding breast augmentation, reconstruction, reduction and other breast surgery procedures and techniques. Perimeter Plastic Surgery’s medical director, Dr. Deutsch, joined his fellow plastic surgeons at Northside Hospital as part of his ongoing commitment to providing his patients with the most current research and techniques. The theme of this year’s symposium was “Simplifying Safety Outcomes,” which included live panels and demonstrations on surgical advancements for breast augmentation and reconstruction. Topics included fat grafting, the use of dermal matrices and new substitutes that help reduce complications during and after breast surgery. As part of the Annual Atlanta Breast Surgery Symposium, TEI Biosciences hosted an exclusive dinner meeting to discuss the use of biologic meshes for breast reconstruction procedures, such as SurgiMend, a new and highly effective collagen matrix. Dr. Deutsch partook in this exclusive event as well, joining the discussion on regenerative medicine in breast reconstruction and augmentation procedures. SurgiMend is composed of fetal bovine dermis and offers a variety of benefits over synthetic soft tissue repair options. This product is natural with no added chemical preservatives, allowing for improved healing, reduced internal scarring, as well as prolonged tissue reinforcement. SurgiMend is available in a wide variety of thicknesses, sizes and strengths, allowing surgeons more flexibility to tailor procedures for each patient. Additionally, Perimeter Plastic Surgery will be offering exclusive special offers for the month of February. Patients can enjoy $ 100 off injectables (such as Botox or Juvederm) or $ 100 off an elective surgical procedure of their choice. The practice will also be offering a 25 percent discount on the entire Obagi line of medical facial products, renowned for their ability to help rejuvenate aging skin. Visit http://perimeterplasticsurgery.com/valentines-day-offer/ to take advantage of this limited time offer. 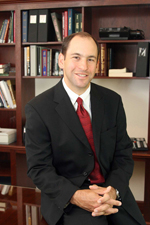 Dr. Mark Deutsch is the founder of Perimeter Plastic Surgery and a top plastic surgeon in Atlanta. 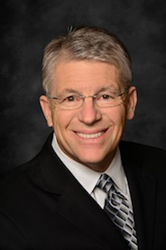 He is board certified by the American Board of Plastic Surgery, and performs a variety of cosmetic and reconstructive surgeries. In addition to his work in the United States, he travels annually to South America to perform volunteer procedures. For more information about Dr. Deutsch and Perimeter Plastic Surgery, please visit perimeterplasticsurgery.com.